When you are a millionaire, the world is your playground. You can chose to fight crime, or not even lift a finger, that comes down to you and no one call tell you otherwise. They say that corruption is the greatest symptom of excessive wealth, but millionaires can also be extremely creative. Some of them enjoy having the best gadgets in the world, while some find the need to visit every place worth visiting. For some of the richest people in the world, their home is a reflection of their personality and attitude, which is why they can go overboard in an attempt the have the right habitat. 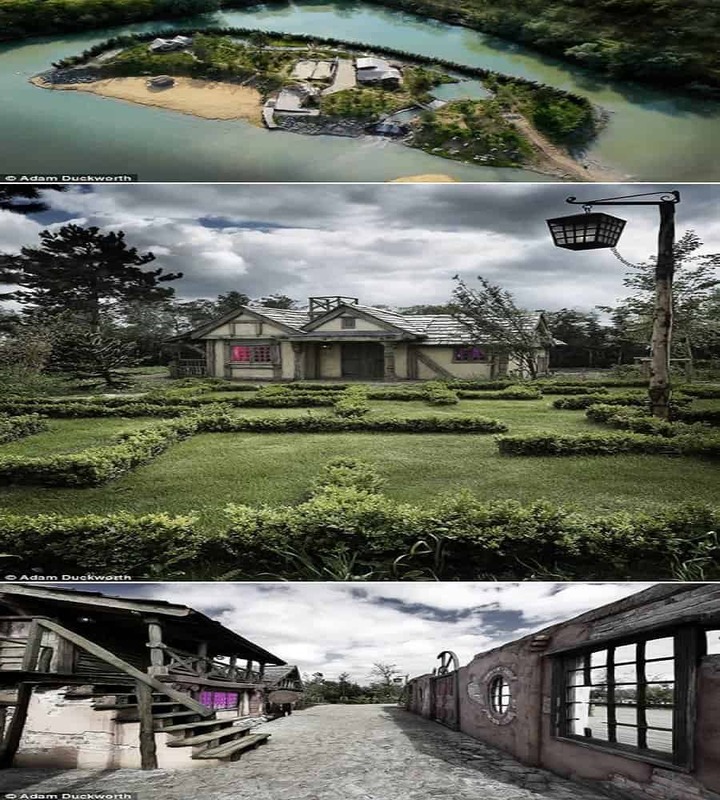 Here is a list of 10 insane-looking structures built for millionaires. 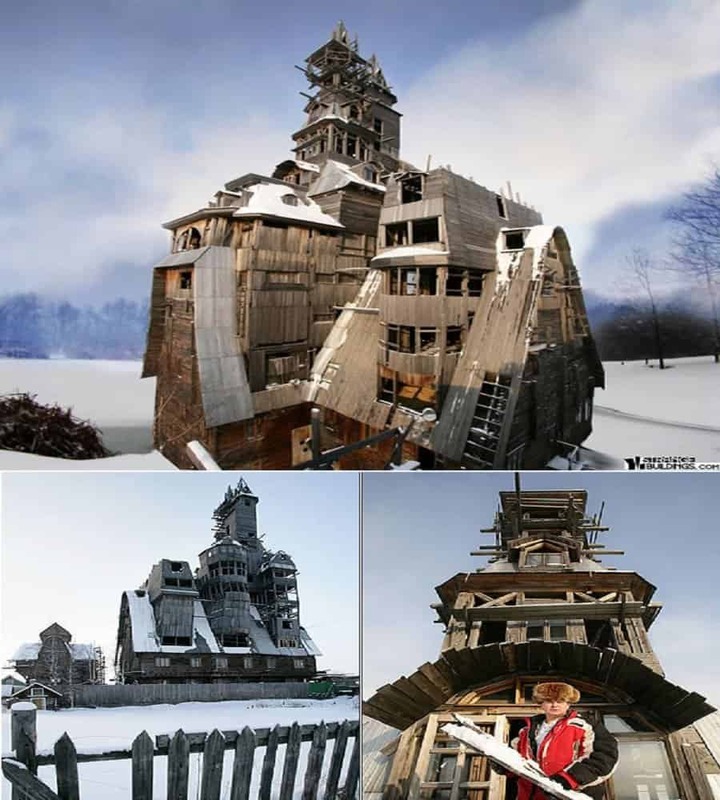 A wealthy Russian gangster named Nikolai Sutyagin decided to build the world’s largest login cabin and then make it his home. Now that is a really bad idea when you are a gangster! Shouldn’t you keep it on the down-low? Christopher Mark is the great-grandson of a Chicago steel tycoon. 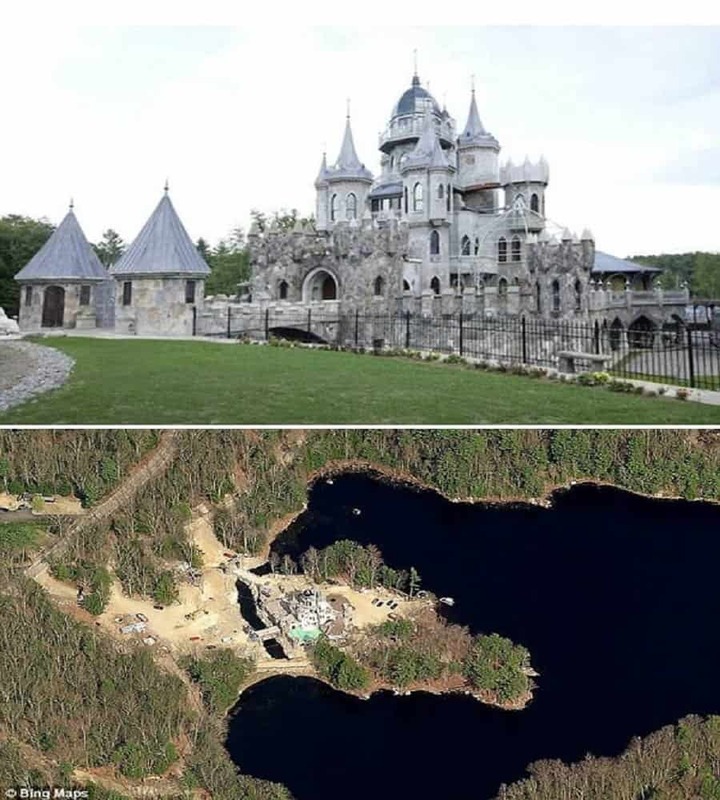 He used a portion of his inheritance to build a storybook-style castle for himself and his girlfriend, spending a whopping 45 million dollars on construction. Unfortunately his relationship with his girlfriend came to an end, which is why he decided to sell his castle soon after. 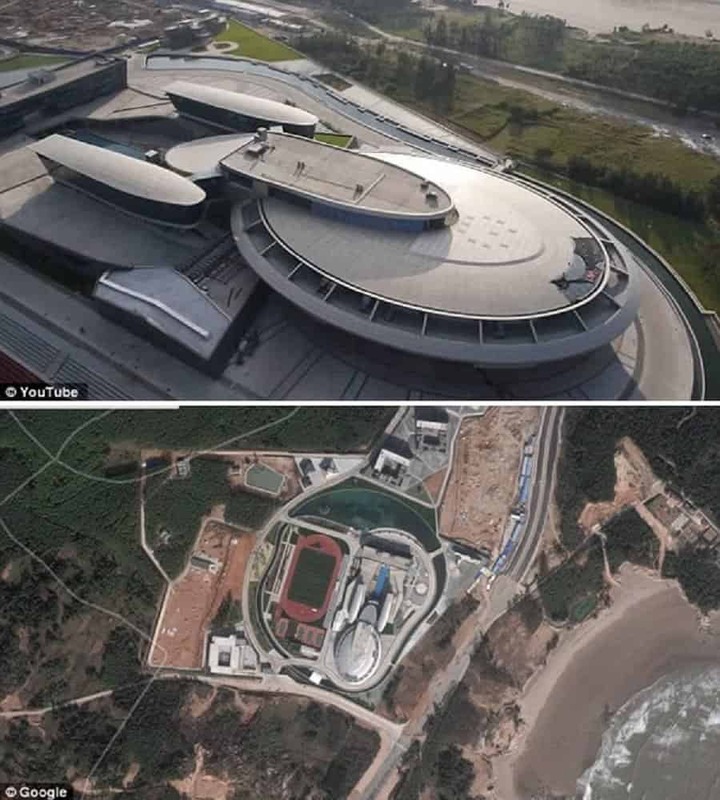 Chinese game developers NetDragon Websoft are such huge fans of the sci-fi classic Star Trek, that they spent 150 million dollars in order to perfectly model their office after the USS Enterprise. Liu Chonghua is a man on a mission. 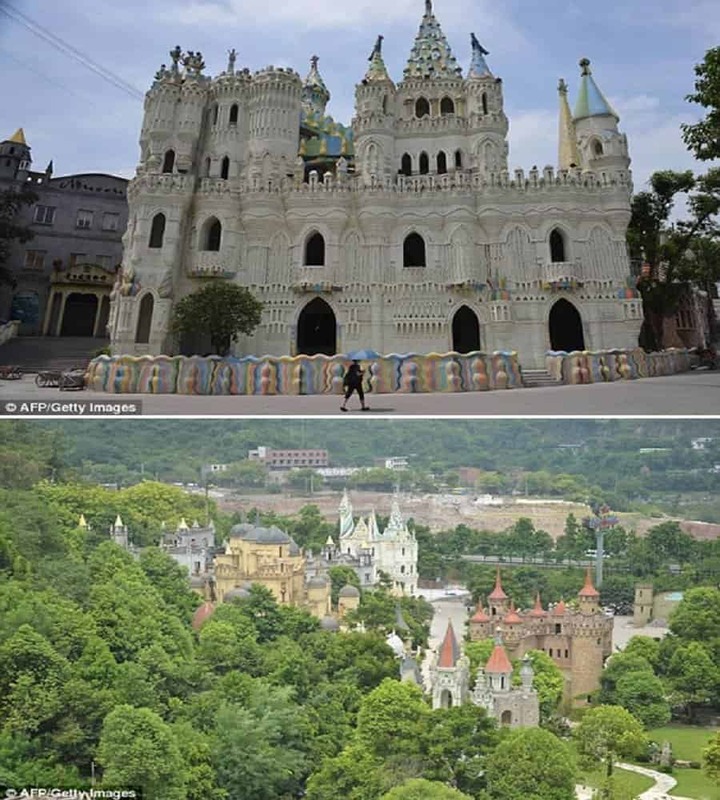 This Chinese millionaire, who made his fortune selling cakes, is trying to build 100 fairy tale castles across China. He has already built seven so far and is rapidly constructing more across the country. Zhang Biqing is one of those millionaires who is known for his eccentric behavior. 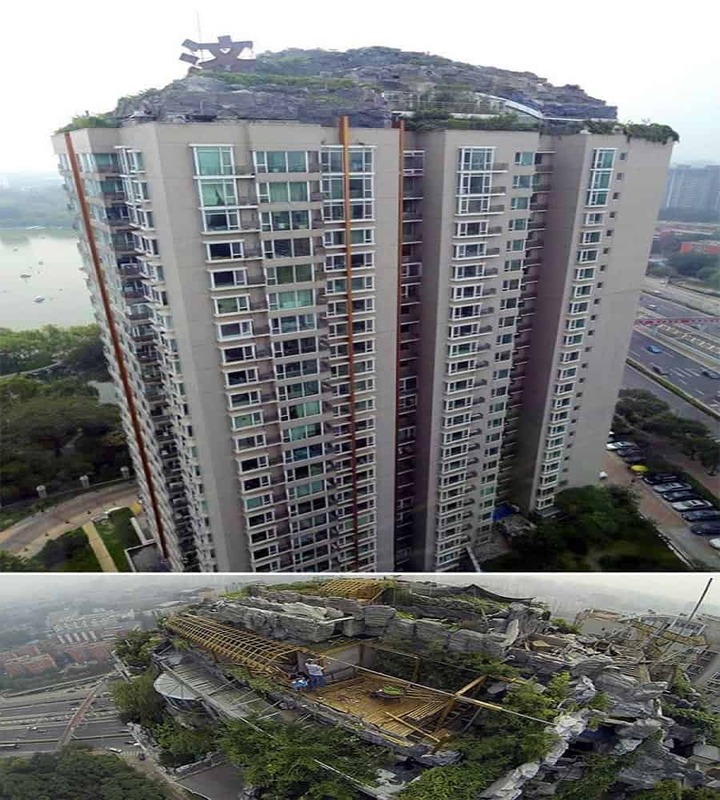 His latest endeavor involved building a really elaborate mountain structure on the roof of his 26 floor residence. Unfortunately for Zhang, the structure received too many complaints and he eventually had to bring down the mountain. He is known as Avenger Joe. 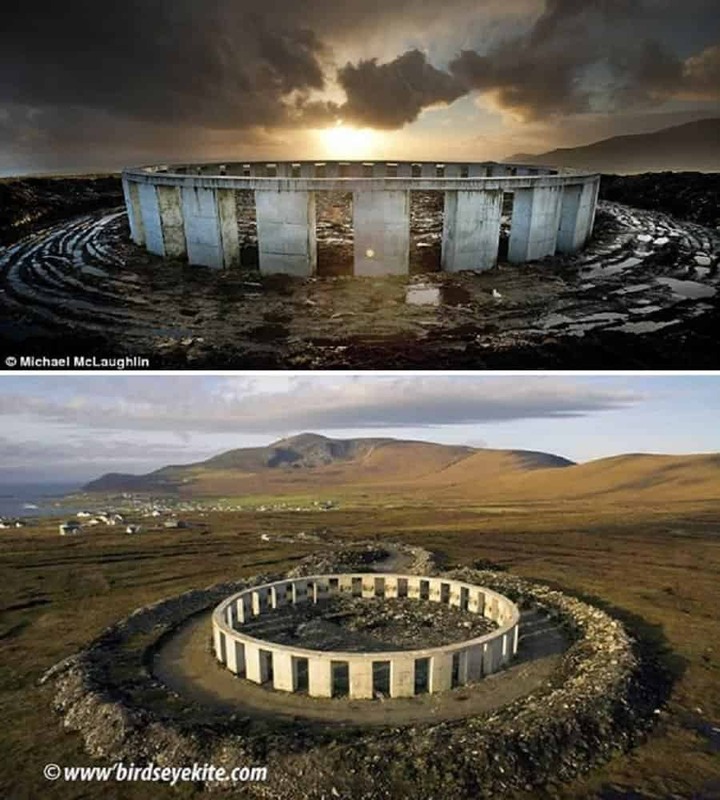 This millionaire developer is not only known for staging relevant protests around the world, but also for recreating the Stonehenge on an Achill Island hilltop off the Irish Coast. 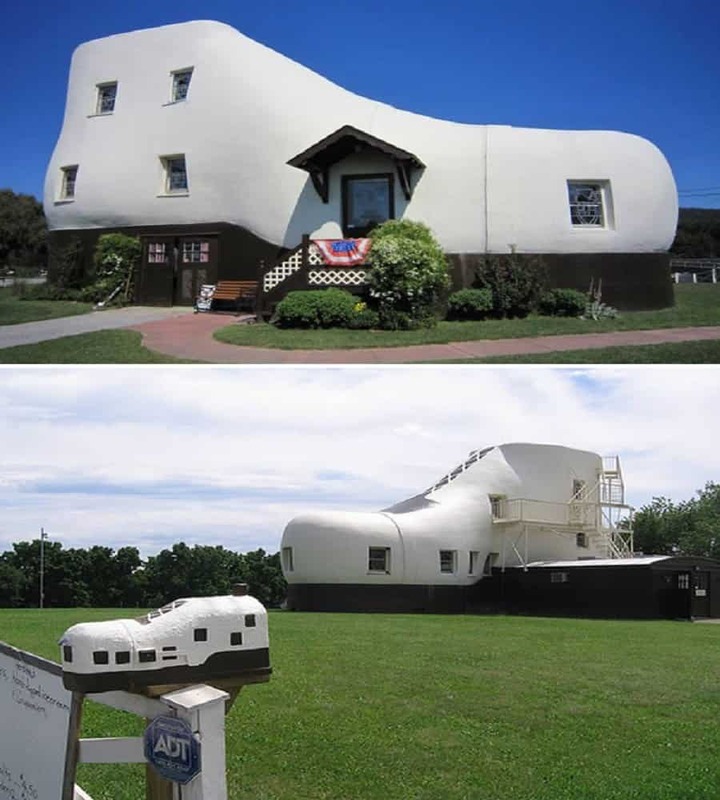 Colonel Mahlon N.Haines became really famous in 1948 when he commissioned an architect to build a house that is supposed to resemble a shoe. The retired military professional made an enormous portion of his wealth building an empire that included 40 shoe stores, and his residence pays homage to that fact. 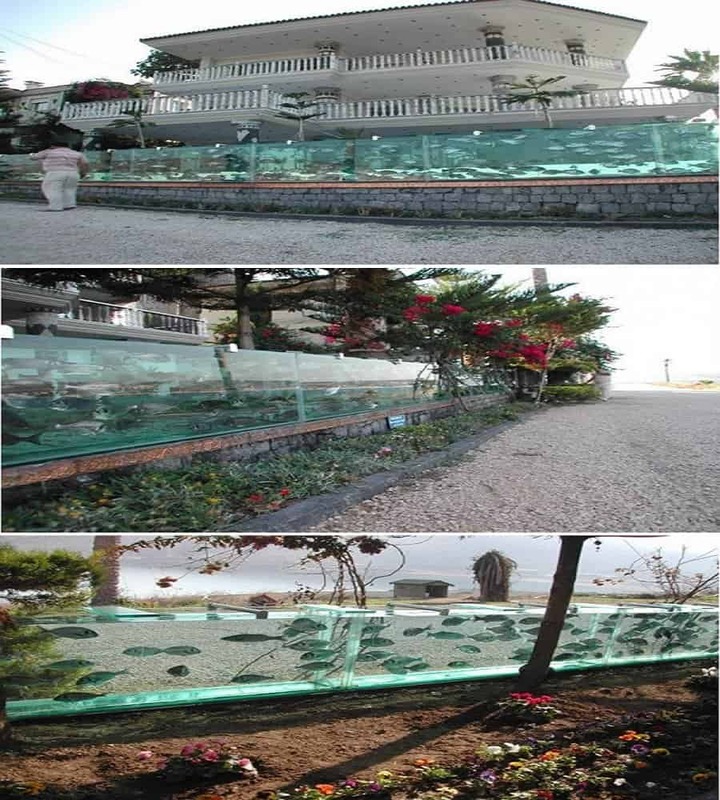 Having a great security team around your mansion is a great idea for sure, but Turkish millionaire Mehmet Ali decided to throw caution to the wind by replacing his metal fence with one giant aquarium. The aquarium is 50 meters long and attracts thousands of visitors on a daily basis. We all pretended to be a pirate when we were growing up. Johnny Depp has been doing that for what feels like 40 movies now. One unnamed millionaire decided to trump everyone by building a pirate-themed island on his English county estate. The island is supposed to be larger than 60 acres and even features a theme-appropriate pub for visitors. This has got to be the strangest structure on this list. 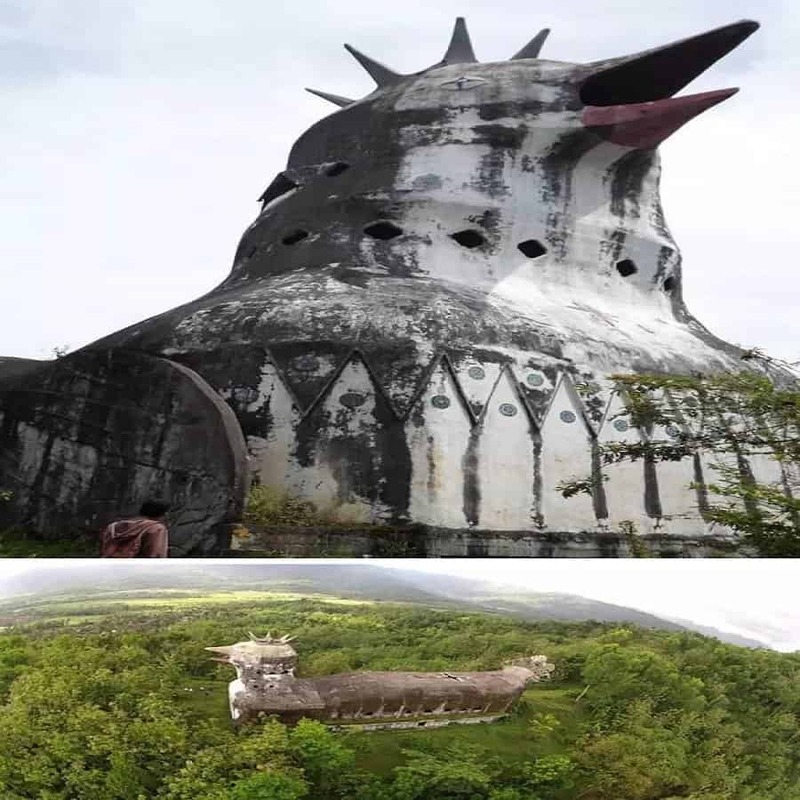 For some inexplicable reason, millionaire Daniel Alamsjah thought it would be a good idea to build a massive chicken shaped church in the middle of jungle in Jakarta. The church is fully constructed now and is open to all religions.